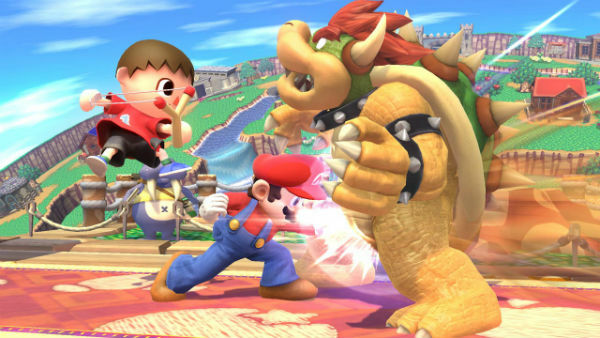 Nintendo continues to catch up with its competition at a startling pace by beginning to allow pre-loads of pre-ordered games with Super Smash Bros Wii U.
Nintendo CEO Satoru Iwata announced theability for players to pre-load games on the Wii U, starting with the release of Super Smash Bros. Wii U at Nintendo's latest investor's meeting. Although Sony, Microsoft and Valve have had a similar system available for their systems for some time, this welcome addition to the functionality of the Wii U is another sign of Nintendo's commitment to focus on bringing their software up to par with Sony and Microsoft's current gen machines. Iwata stated that the pre-download system, in addition to working with credit or debit card eShop purchases, will utilize download cards available in stores that will allow players to activate their pre-order by entering a code into the eShop, allowing those who want to use cash a alternative. The pre-downloads will be available on the Wii U on November 21 with the release of Super Smash Bros Wii U and will start for the Nintendo 3DS in 2015.